Think this looks a lot like the 61 Continental? You'd be right they shared the same basic design. 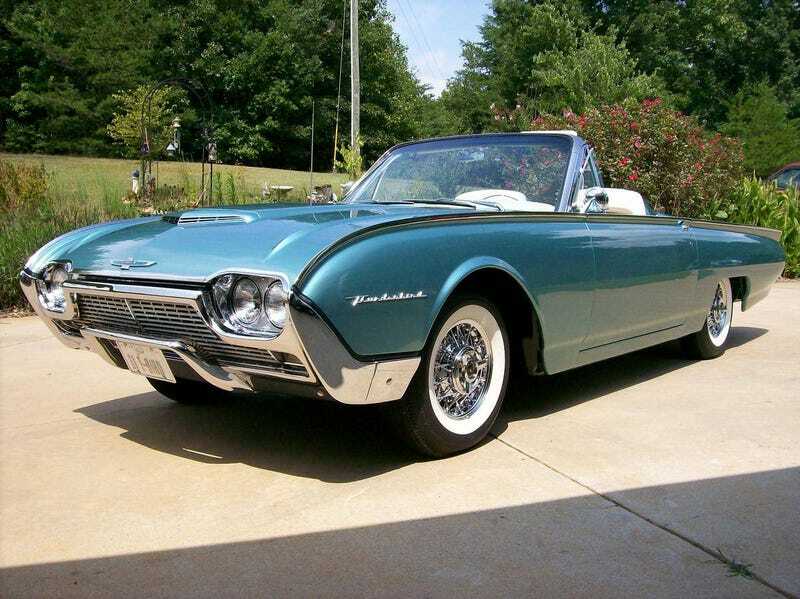 However the Thunderbird was designed first.